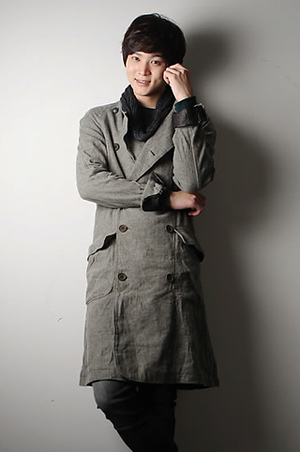 Joo Won has gained popularity with his appearances in "Bread, Love and Dreams" and "Ojak Brothers". Joo Won's first drama "Bread, Love and Dreams" had recorded almost 50 percent viewer ratings and his second drama "Ojak Brothers", in which he presents a sweet love story of the so-called "Tae-Ja couple", has recorded almost 30 percent viewer ratings. His characters in those two dramas are completely different. Goo Ma Joon, whom he played in "Bread, Love and Dreams", was an heir of a chaebol with a dark and distorted personality and Hawng Tae Hee, whom he is playing in "Ojak Brothers", is a diligent and trustworthy detective. Joo Won said, "I think that I am a very lucky person. I could appear in good works up to now, and the harmony with other cast members and the staff members seems to be perfect". Joo Won garnered the "Rookie Male Actor Award" at the year-end awards ceremony at KBS last year, and he has been cast as the protagonist in the blockbuster drama "Bridal Mask" that will begin airing from May. He said, "I think that I do not deserve such a good opportunity even though I really appreciate it. I want to present best acting like other excellent senior actors". Actor Joo Won is appearing in the KBS 2TV Weekend drama "Ojak Brothers" Joo Won (25, real name Moon Joo Won), who has been very busy for the past two years, came to Uljilo to give an interview. He has appeared in dramas as well as movies such as "Special Investigation Unit" and "Unidentified Video", and he is recently receiving great love for his appearance in the weekend drama "Ohakgyo Family" by presenting a sweet love story with actress Yoo Yi. The so-called "Tae-Ja couple" has been providing great enjoyment to many viewers on weekends. He said, "I feel very happy while filming those pretty scenes that I can hardly experience in the real world (laugh). I sometimes think that it might be very useful for me later when I have a relationship, but actually I am not the type of person who can be very sweet and lovely in a relationship, so I am just enjoying vicarious satisfaction in the drama". Thanks to his role in a recent drama, people have come to have a friendly image about him. When he appeared in "Bread, Love and Dreams", people reportedly could not come closer to him due to his character in the drama unless he approached first, but these days many people easily come to him first and like him very much. Joo Won said, "I felt gloomy when I played the dark and gloomy character in the previous drama, but this time, I am pleasantly playing my part, and it is much better to have a love story (laugh)". When Joo Won garnered the Rookie Male Actor Award at the KBS Drama Awards on the last day of 2011, Joo Won shed tears. He said, "It was the moment that I achieved my dream. I have always wanted to become an actor since my childhood and I have hoped to garner any award at an awards ceremony some day, and it was certainly the moment that I have dreamed of. I was so touched and could not say anything. The moments that I had appeared in the theater works before I debuted occurred to me, which made me deeply touched, and I suddenly lost words at that moment (laugh)". He appeared as one of the MC members on the awards ceremony with Jeon Hyun Moo and Han Hye Jin and presented different appearance as a MC. He said, "I had thought that taking a role of MC would be very exciting, but it was actually a very difficult task. I was really nervous. I had thought that I would give an excellent acceptance speech in case I would receive an award, but I choked up and could not say anything (laugh)". Joo Won seemed to appear all the sudden, but actually he has prepared for a long time to become an actor. He graduated from Gyewon Art School and entered the Art department at Sungkyunkwan University. He had appeared in many musical and theater works when he was a student. He said, "I actively participated in many works during university years as all the other people acknowledged my participation. One day I had an audition for a musical work, and I could pass the audition with luck". He was cast as the protagonist in the musical "Altarboys" in 2006, but he experienced huge frustration. He said, "I realized deeply that I was just a big fish in a little pond. What I had done in the school was actually nothing, and I was just a bad actor in the world of professionals. I completely lost my confidence at that time". But he continued to train himself by appearing in other musical works such as "Singles", "Grease", and "Spring Awakening", and he finally debuted on TV. He revealed that he was not greedy, but he had been very diligent in any works up to now. He said, "I was not greedy about becoming a star or appearing in a good work. I have just tried my best in whatever work I have appeared when I liked it. Thanks to my effort, I could appear in many works and people tended to say that I created a friendly atmosphere on the set. The secret to my success seems to be just do everything with the best effort and to respect senior actors (laugh). People say that doing something with the best effort is fundamental in a world of a professional, but actually some people do not try their best. My strength is not my appearance or my tall height, but it is my attitude of trying my best in every occasion". 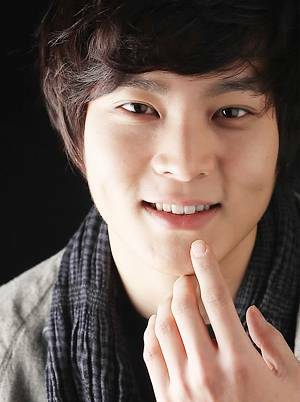 Joo Won will immediately begin filming the drama "Bridal Mask" right after he finishes filming "Ojak Brothers" next month. He already began practicing action acting. "Bridal Mask" will tell the story of a Robin Hood-like character during the Japanese colonial era in the 1930s. He said, "I am the protagonist of the drama, but I cannot determine the success of the drama alone. My other cast members will perform their important parts. I am just studying about my own character in the drama right now. As it will contain many action scenes, I am preparing for action acting. But actually it is very tough (laugh). I have to present various martial arts such as Taekkyeon and Karate, but practicing those martial arts is very difficult. But I will do my best". Asked whether things had changed for him after he appeared in the hit drama "Bread, Love and Dreams", he answered, "Everything had changed for a month right after I appeared in 'Bread, Love and Dreams', but it did not last long. People gradually forgot me and everything went back to the same situation as before (laugh). I did not feel sad, but I just realized that things in the entertainment business go this way and I have to endure those situations in the future. I do not think that the situation around me changed compared to the past. It is the same, and now I just think that this is the process by which I am finding my own way to become a real actor". Arirang Radio to Go On Air in U.S.